In order to import CxF information CxF XML files need to be present in a folder and their name has to be the spot color name that it represents. 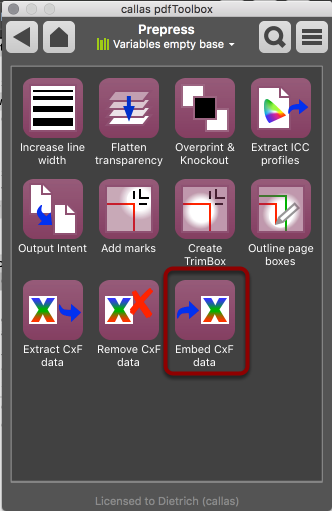 The PDF needs to be a PDF/X file or has to have at least an PDF/X Output Intent entry, since the CxF information is being embedded into the Output Intent entry. 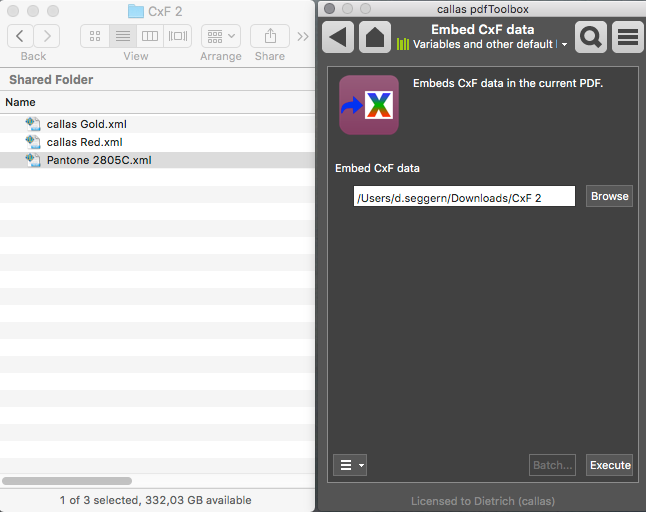 If there is no Output Intent entry present the "Execute" button in pdfToolbox cannot be hit. Click on Browse and select a folder that contains CxF XML files. Click on Execute in order to embed the CxF XML files.